For the record, I don’t think so. In fact, I think he’s brilliant. Mind you, so far I’ve read only The Road. [Update: now I’ve also read No Country for Old Men.] Still, though I had my doubts when I began it for the first time, by the time I finished it I was under the spell of its strange, difficult, deeply poetic language. I’ve been reading and rereading it as I work through it with my class, and for me it just gets better — I find McCarthy’s prose weirder and more interesting and more affecting on each pass. He took great marching steps into the nothingness, counting them against his return. Eyes closed, arms soaring. Upright to what? Something nameless in the night, lode or matrix. To which he and the stars were common satellite. Like the great pendulum in its rotunda scribing through the long day movements of the universe of which you may say it knows nothing and yet know it must. Tolling in the silence the minutes of the earth and the hours and the days of it and the years without cease. The cadence of the lines makes poetic sense of them, doesn’t it? I also think they’d sound just right read in an Irish brogue – again, it’s something about the rhythm, the rise and fall and slight excess of them. Yet I can see how they could strike another reader as mannered, almost self-aggrandizing: look at me, writing! The second register is the one familiar to readers of Blood Meridian or Suttree, and again seems somewhat Conradian. Hard detail and a fine eye is combined with exquisite, gnarled, slightly antique (and even slightly clumsy or heavy) lyricism. It ought not to work, and sometimes it does not. But many of its effects are beautiful — and not only beautiful, but powerfully efficient as poetry. . . . I just tried to read this book and had to put it down after around thirty pages due to the absolute atrocious writing style and complete disregard for language structure. Fragments, overuse of conjunctions, lack of multiple different kinds of punctuation. Overall it makes the book a very slow read due to having to re-read passages multiple times. Language structure is there to aid communication, it should not be modified willy nilly by some hack author as a literary device in a way to inject what he is unable to convey through language. In this case all you have is a clumsy, choppy, piece of sub-par writing. And speaking of language, the text reads like it was written by a freshman with a thesaurus. There is excessive use of bizarre adjectives and over-description. Simple sentence structure with over use of a inappropriate descriptors just reeks of poor undergrad writing. McCarthy’s writing is full of incomplete sentences and anastrophe, completely lacks quotation marks, and frequently embeds dialogue in the middle of paragraphs. What truly annoys me, though, is McCarthy’s inconsistent use of apostrophes for contractions. Each of these conventions is a barrier to straightforward reading (though I finished The Road in only a few hours). If they made me stop and think about the language, characters, or plot, I wouldn’t object, but they’re merely distracting. We’re looking at the same evidence but drawing very different conclusions. I wish I could assert confidently that I’m reading right and the naysayers are ill-informed, mistaken, or obtuse. I do think that fixating on non-standard grammar, unfamiliar vocabulary, or other technicalities is a superficial way to evaluate the quality of literary writing. And McCarthy’s odd prose did make me stop and think — not so much about “the language, characters, or plot,” but about the themes and values of the work, and also about the role of language itself, in making meaning and in creating aesthetic and emotional effects. Can I do better, though, than saying “it worked for me”? Can the haters really get past “it didn’t work for me”? even with its flaws, there’s just no getting around it: The Road is a frightening, profound tale that drags us into places we don’t want to go, forces us to think about questions we don’t want to ask. Readers who sneer at McCarthy’s mythic and biblical grandiosity will cringe at the ambition of The Road. At first I kept trying to scoff at it, too, but I was just whistling past the graveyard. Ultimately, my cynicism was overwhelmed by the visceral power of McCarthy’s prose and the simple beauty of this hero’s love for his son. There is no limit to the devastation, only new forms of its expression, and McCarthy renders these up in lush, sensuous prose that belies the inertness of its object and keeps the reader in a constant state of longing and alarm. Unfolding in a spartan, precise narrative that mirrors the bleakness of its nuclear winter . . . even with his lapses into grandiloquence, McCarthy is too seasoned a writer to over dramatize what may be the last drama of all . . . he has written this last waltz with enough elegant reserve to capture what matters most. [McCarthy’s fans] should be satisfied with the current offering’s characteristic helpings of hypnotic, gut-punching prose and bracing depictions of emotional longing (“She held his hand in her lap and he could feel the tops of her stockings through the thin stuff of her summer dress. Freeze this frame. Now call down your dark and your cold and be damned” )—qualities McCarthy’s detractors seem bizarrely content to underestimate or overlook. And yet another update (2/27): At least two commenters (so far) in this FlavorWire thread are not fans. Reading this post, which I really enjoyed, I thought how sometimes I will give a student paper credit for taking a risk, even if it isn’t entirely successful. So few of them reach for anything that exceeds their grasp, and really, how many novels do either? Should we give more credit for successfully playing it safe? I’m not sure I can bring myself to read McCarthy. But I liked the pendulum sentence, which immediately brought to my mind an image of the Foucault pendulum in Chicago’s Museum of Science and Industry, a familiar sight in my childhood. Liz, I agree about risk-taking, and I have been thinking that critics like Wood and Maslin are more likely to appreciate McCarthy precisely for that reason — professional readers presumably get pretty tired of writing that plays it safe. If you did read The Road, I’d obviously be very interested in your reaction. This is pretty clearly a post meant to kick the proverbial bee’s nest with the title and back away from it by the end. But, kick it you did so I’ll say this: I’m a firm believer that every book should be able to stand on it’s own merits but almost all of the criticism I’ve read about McCarthy is swept away with a cursory glance at context. Woods calls him ‘an American ham’ which is close to what the ever dreadful BR Myers levies against him in A Reader’s Manifesto. Short of Thomas Pynchon I can’t think of a living American author that has shunned the limelight to the extent that McCarthy has. Even in his Oprah interview, you can see that he wants to crawl under the chair he is sitting in. Is this a man that craves attention or recognition of any kind? What I’ve begun to notice more and more is that people seem to believe that if they like something it is quality and if they don’t, it isn’t. I understand why: now everyone has access to almost any information at the touch of a button. Patton Oswalt talked about what it was like to be a comic book nerd in the 80’s. In order to read The Watchmen, you had to go to a comic book store once a month and buy it. Now, by the time you finish this post, you can download the entire thing to your phone. It has made all of us believe that we have good taste or at least an understanding of what ‘quality’ means. But we don’t. So for those who made comments on the linked blog like ‘the grammar is atrocious’ they are actually saying ‘I don’t like this, so I’m going to find a qualitative grievance.’ I hated Ulysses and damn near everything else I read from James Joyce. It is exactly the opposite of what I want to read about. ‘A day came and went in Dublin. Weeeee!’ But I would never, ever attack that quality of his work. What he did redefined how we read and what ‘story’ even means. For me to say ‘I thought his paragraph structure was terrible’ would be nearly as stupid as the comment above. My opinion on this is demonstrated exactly in Blood Meridian. I’ve spent the better part of 10 years dissecting it, scouring for sources and trying to learn as much as I can about it. It is more than an achievement; it is the high water mark of the past 40 years of literature. But it also contains some of the most grotesque and terrifying sequences of violence ever put to the page. I’m sure it would get a ‘yucky’ rating from most of those who commented on the page and frankly that’s fine by me. Stick to John Grisham. THAT guy knows where to put an apostrophe. You’re right that it’s a deliberately provocative title, but it isn’t simply disingenuous: I think it’s a question that isn’t that easy to answer. Your point about context is an interesting one. One of the reasons I may have trouble formulating a response or defense is that I’m not an Americanist, so I can’t frame him with what might be the most relevant comparisons or traditions. One of the reasons I found Wood’s review so interesting is that he provides some useful contexts. Your point about McCarthy shunning attention is interesting. I think I too am using his sincerity (his commitment to his own artistic vision) as a starting point: it justifies taking him seriously. But then, what happens to your opening suggestion that novels ought to stand on their own? Can we discern that sincerity in the writing itself? I think we can: I think it shows enough deliberate care, and also does enough difficult things, that the “hack author” accusation just doesn’t hold up. The Oprah interview is almost comical, they are so ill-matched. Joyce was someone I thought of as well — an obvious target for attacks along these lines, and an obvious example of why unconventional or risk-taking style can’t be used as a measure of “quality.” (What would happen to a poet like Hopkins, too, if being clearly intelligible and using ordinary language was our measure of greatness?) I think you’re exactly right that too much discussion now takes taste as a measure of merit. I wrote that late last night so I’ll clarify a bit. Obviously you are asking a provocative question with the post, but I don’t think you are ‘taking sides’ per se. It is interesting that you had to look to a mostly positive review of McCarthy to find a negative remark about his writing. I think that is what BR Myers Manifesto was getting at: the so-called ‘literary establishment’ throws laurels at the feet of books for the wrong reasons. His next leap is where I disagree, however: he would like to say that inherently because They choose many books that may not be up to his standards, all the books They like are bad. The Road is a perfect example of a book that I’m sure Myers would hate: literally no story, ‘bad’ grammar and everyone on earth seemed to love it. In fact, I can’t find a bad review of The Road. Usually this is reason enough for me to not like something (especially with Oprah’s OK attached to it) but I was way biased before the book even came out. Maybe the disconnect is that the only measure we have for a book is when many so-called respected lit folks agree that the book is good. I don’t understand why someone has a problem with that. Say what you want about Harold Bloom (he’s pompous, he’s an Old White Man ) but I’ll take his opinion over a disgruntled high school grammar teacher six days a week and twice on Sunday. Even capital S-Science works that way. Someone makes a claim and states why and folks can agree or disagree. (Obviously it is easier to test a scientific theory, but you see my point). There are dangers to having this point of view, but we aren’t talking about blindly following a cabal who proclaim ‘THIS is the BEST BOOK’ and slink back into an ivory tower somewhere. But the folks who do read for a living, or dissect lit for a living can provide that context. In short, they have taste. I may not like their tastes, but they have it and it at least points folks in the right direction. When Wood refers to McCarthy as “a ham” is he trying to say he is a writer that has never “shunned the limelight” or is he referring to what he sees as a grandiose, puffed up style of writing? Full disclosure, If it’s the latter, I agree (and I think it is the latter). Spelled my own damned name wrong: Laskowski. That’s funny, you spelled your name wrong. I just finished All The Pretty Horses and I agree with you a bit. That book is so full of bad similes That every time I came across one I cringed and dreaded the next one. I am currently searching for a good explanation as to why McCarthy is compared to Faulkner- the only thing I can come up with is his lack of punctuation. I’m still chuckling over the fact that the last segment, while punctuated as a sentence, is a fragment itself. I don’t feel it’s fair to an author to react against a stylistic decision without at least making an attempt to ask whether there is a deliberate relationship between the style adopted and the material conveyed. Perhaps it is because I am a linguist rather than a literature specialist, but I was always taught to look for the relationship between form and function as a starting point for understanding. Yes – form and function. I’m not really held up so much by the random internet comments I found (for an “open” medium, the internet is rife with brick walls, isn’t it?) as by Colleen’s assessment, as I know her to be a really smart and thoughtful and also open-minded reader. I’d like to hear more from her about what she didn’t like about The Road. The mainstream literary reviews I’ve seen are all very positive: I wonder if there’s a substantial take-down of McCarthy by someone of Wood’s caliber as a critic — I’d like to read that. Does anyone know of one? I’ll go poking around today and see what I turn up. Hi, Rohan. I admire McCarthy a great deal. I read the Border trilogy in the very brief period between Old Men and The Road. So, for a couple of years, at least, there was no contemporary voice I enjoyed more. I do feel a little removed from the context, as he has been silent for some time. What I can still say is that, stylistically, I note the great joy with which McCarthy describes processes. I would think that the McCarthy parody contest would be “write as would Cormac McCarthy and tell an alien how to screw in a lightbulb.” I do think that there is something significant, a la Joyce, in the way in which this heightens and celebrates the mundane. McCarthy is also celebrating practical competency, something central to his books. More significantly, I admire his desire to try to identify some fundamental social values, to consider how these are betrayed, and — critically — how these values may be reinvented. Perhaps because these ideas are important to me, and I love a writer with a distinctive voice, I have valued McCarthy’s works highly, though I have enjoyed how he has evolved beyond a early gothic that I know others prize (but I find derivative). Craig, what an interesting point about process and practical competency. I hadn’t focused on that, but the importance of knowing how to do things, including mundane things, is definitely part of the The Road. Would you recommend the Border trilogy as my next step? I admit, I’m afraid of Blood Meridian. Even if NCFOM had not been made into a commercially and critically successful film, we could probably all agree that it is his most accessible work. The mythical elements are reified (Chigurh is almost too finely drawn), and there is no allegorical prolegomenon in advance of the paced narrative. I think the Coens did a faithful job — McCarthy’s rumination on trespass against the value of family and friendship (the kind of “traditional” values to which I allude above) runs similarly through many of their films — but there is much more in the book. I am a fan of multi-title volumes, and so it is hard not to recommend the Everyman’s Library edition of the Border Trilogy. But that is not to say that there is anything wrong with All The Pretty Horses as a stand-alone. You get a little allegory at the beginning, but it soon gets rooted in place; you learn how to tie a knot, break a horse; it’s a book about love and race, but I think McCarthy is more concerned with the difference between law and justice. To my reading, the next two grow more allegorical as they go — at points, Cities of the Plain could be taking place everywhere/nowhere — which might be a factor of the aging of the surviving characters. Incidentally, you might know that Billy Bob Thornton’s film version of ATPH was cut dramatically for theatrical release. I like it, but it bears little similarity to the novel. Apparently, disagreement with the studio prevented a “director’s cut” for home release, and now the moment seems to have passed. I watched The Road at Dartmouth Crossing, where — in the midst — I got a phone call telling me that I had survived the cut from seven candidates to three for a certain job. LOL. I watched the apocalypse with a goofy smile. A million years ago, eh? I enjoy comparing books with films, obviously, and McCarthy makes a nice case study: how screenwriters and directors work through the kinds of issues raised on this thread. What are “the mythical elements” that are “reified”? I’m not challenging the assertion (at least not until I understand it more thoroughly) but am slightly confused by it and would benefit from an example or two. “Chigurh is almost too finely drawn”, I suspect you mean, as a character that is more of a somewhat one dimensional embodiment of a mythical figure than as the complex and contradictory entities most humans end up being? If so, how so? I can see where the the absence of an “allegorical prolegomenon” could make NCfOM more accessible as an adventure-thriller read, but isn’t that at the risk of making it less appreciated as allegory (if your point is that allegory is what’s happening here)? Big words but scant, or at least fragmentary, meaning, at least to a lumpen proletariat such as I. No big surprise to me you’re a fan of McCarthy. His prose hits me the same way. “Too be” and “I thing”? I will stop replying on a smartphone! Incidentally, an embodied mythical element, to me, is Chigurh’s coin flipping. As it lends nothing to plot — not that everything must — it just draws attention to itself: hardship seems random, and chance plays at least as much of a role as fate. By the way, if anyone has any influence with Rohan, steer her towards David Foster Wallace, would you? I could use her steady hand in a discussion of HIS work, let me tell you! I’ve been debating for a while whether I think it would be worth the time to read one of his novels (and then the next question is which one?) I enjoyed reading about your struggle. That is the kind of wrestling that often makes a work that seemed questionable at first, ends up making a big impression. I think many of my favorites writers have started out that way, although I tend to remember those and forget the ones that have been tossed aside. Jim, I’m bound to say that I recommend The Road! I think you’re on to something with your point about the writers we wrestle with. Writers that make things easy may give us pleasure, but there are other rewards (dare I say higher rewards?) that come from those who challenge or provoke us — if, again, that provocation is worthwhile or sincere. Among the books that made the biggest impression on me in 2012, for instance, I’d include Madame Bovary and the Patrick Melrose novels — they weren’t fun, exactly, but the intellectual rewards were great. I don’t think that a pronounced schwa-like sound in the contraction means that the internal lexical form contains the error, if that makes sense (and it’s probably not a linguistically accurate way of thinking about it). I also wrote about a similar form in one of M. John Harrison’s books, and he noted in the comment that he did remember hearing a difference in a particular dialect, so I don’t know. Google books reveals many, many examples of it. That is another odd feature. I see Faulkner gets the credit (the blame?) for it. Another issue we talked about today was the difficulty of following his pronouns–in The Road, sometimes it’s not entirely clear which “he” is involved. Also, of course, without any tags for the dialogue it’s easy to lose track of who’s speaking unless you go back and mark in each speaker. The option seems to be a dull series of “he said,” “said the son,” “said the father,’ etc., so the slight risk that we’ll get confused seems artistically worth it. I don’t think that a pronounced schwa-like sound in the contraction means that the internal lexical form contains the error, if that makes sense (and it’s probably not a linguistically accurate way of thinking about it). Hmm. I have seen this in nonprofessional writing many, many times though–especially in children. I have always thought the internal lexical form contained the error. Language structure is there to aid communication, it should not be modified willy nilly by some hack author as a literary device in a way to inject what he is unable to convey through language. This sentence struck me as particularly poorly reasoned. Though you could argue that “language structure” refers only to syntax, even so, this person is ultimately claiming that McCarthy shouldn’t modify language in order to convey something that he…can’t convey with language. And I would say this is in fact exactly what writers should feel free to do. Prejudging him as a “hack” means that he shouldn’t do it, because he’ll do it poorly or fail at it–but without other evidence that he is in fact a hack, it’s just bootstrapping. I don’t think that assigning a text is or should be an automatic recommendation. I’ve frequently set texts which demonstrate certain techniques without being ‘good’, and I’ve sometimes picked texts which will annoy the students so much that they’ll feel compelled to talk about it: they can explain why a text doesn’t work for them better than they can analyse why a text does work. I’m in two minds about The Road, and I’m a CM fan. Having read an awful lot of SF novels, the bleakness and post-apocalyptic stylings aren’t that new: some of the acclaim in literary critical circles is from people who aren’t familiar with the best genre writers. As with Winterson, Atwood and various others, they praise ‘literary’ authors’ SF tropes for originality because they don’t realise what’s out there (though I actually think CM, Atwood et al do a good job with SF expectations). I have the same reservations about language as many of the commentators cited above – and you – have: too much of it is ‘purple’ prose, reaching that little bit too far to load further significance onto the mundane. As to the loss of speech marks etc: we should all be familiar (from Riddley Walker onwards) with the dictum that The First Casualty Of War is Punctuation. I suppose assigning doesn’t necessarily mean you love it, but just be picking one out of the literally thousands of alternatives means it does something you recommend your class spend time on — so, if not literary merit (whatever that is), then, as you say, technical issues, or provocation, or exemplarity of some kind. As you say, sometimes the ones that are most annoying are most productive. I have found, too, that my own overt passion for some texts becomes a bit of an impediment to open discussion. You make a good point about unfamiliarity with the relevant genres perhaps creating some critical distortion. I see that sometimes with reactions to mystery-“literary” cross-overs: they get discussed as if there’s no innovation or excellence in the genre straight up. In this case, I don’t read SF, by and large, and I haven’t read other post-apocalyptic fiction. It was the lure of really interesting writing that drew me to The Road. Maybe it would strike me as less original and devastating if I read a lot of similar material, but then, I’m not sure it’s the “bleakness and post-apocalyptic stylings” that I find so engrossing. Just finished The Orchard Keeper yesterday. He had many of his admired traits or annoying tendencies (depending on your view) from the start. Helpful to know, Mark – especially since one of the fair questions this post has provoked (here and on Twitter) is whether The Road can be taken as typical enough to start this conversation. For very selfish reasons, I love threads like these. I know there are innovations in Victorian studies, just as there are innovations in modernism. And there is no more reason to keep throwing Wuthering Heights on a survey than there is to keep rebooting Gatsby. But those of us who are not contemporary lit experts, who are still expected to teach 1800-present, might find that “present” a moving target. I’ve had some luck with Ishiguro, Cormac McCarthy, Tom McCarthy, Shteyngart, Winterson… But Wallace is a bear. Stories and essays, maybe. Let us all know if you don’t drown in the footnotes of IJ. Craig, that’s actually exactly how I ended up teaching The Road — I have been teaching Ishiguro and McEwan in my intro class as my examples of contemporary fiction, but I know that my choices reflect my own tendency towards certain styles and interests, so I asked around on Twitter for recommendations, read a few of them, and ended up choosing The Road. As you say, it’s a moving target, and of course the ‘canon’ is not settled even as provisionally as it is for the Victorians or the Moderns. Can’t take a critique of McCarthy’s prose seriously if the critic has only read one book by McCarthy. Benjamin, while I can understand in one sense why you’d say that, I’m also not sure it’s a fair response. Would you say the same thing to someone who wanted to talk about Flaubert’s style having read only Madame Bovary? Maybe you would! But in any case, this post is about starting a process, not finishing it. Reading one book is an important step, right, because that’s what determines whether you’ll go on and read more — especially when, as with McCarthy, the style is unusual to the point of provocative. My impression is that his style across his oeuvre has many similar features: if The Road were considered completely atypical then we’d be in a different situation. Even so–even though (based on the discussion that the post has prompted) I think the questions The Road provoked in me do have wider application–I do regret having given the post such a broad title! But I think the post itself focuses on pretty specific details and on legitimate questions about McCarthy’s style raised by The Road — and the discussion in the comments has been, for me, extremely stimulating and informative. I take it that you have read more McCarthy than I have so far: I’m curious whether you are an admirer, and if so, whether you appreciated his style immediately or, as was the case with me, you had to think about it before you committed yourself. Especially when it’s The Road. I think it’s rather a shame to make a judgment on McCarthy being a good or bad writer based on The Road. It’s a fine book, but McCarthy at his best is where we should judge his prose (and from that point I’m fine taking issue with his other works in relation to how they fail to hit that mark). In other words, we should look to Blood Meridian. The criticisms based on grammar are laughable in my opinion. As another commentator said, what’s really going on there is personal taste masquerading as an objective flaw. Faulker, Joyce, Woolf, and many others did amazing things with grammatically incorrect prose, just as McCarthy does. Last, how can anyone call the man a terrible writer who wrote this line? Is that line from a parody Tumblr where “McCarthy” gives investment advice? Link please – I would love to read that. Even is it is not as good as his Yelp review of Jamba Juice. Tom, that Tumblr is hilarious! And its comedy is entirely relevant, because any author whose style is so vulnerable to parody is surely vulnerable to just the debate we’ve been having here. Rebecca, I agree that ultimately we have to judge writers at their best, though what their “best” is may also come up for debate. 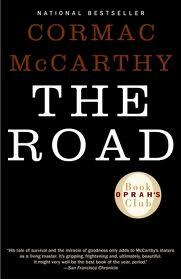 Some I’ve spoken with like The Road because it is more accessible and less violent than McCarthy’s other novels. While I agree that we can’t make “correct grammar” our cut-off point for good literature, and that the most extreme critics quoted here are, as you say, standing by their personal taste as if it represents an objective standard, I am not so sure how we can tell that you and The Kid (who also quotes a passage he considers definitive) aren’t doing the same in reverse. Is it really so self-evident that these sentences refute criticisms of McCarthy’s style? But yes you could assign a bad book to your class. One literature/writing class assigned an Agatha Christie and a Henry James to show the difference, not to suggest that both were equally good or that both had to be good. Sometimes after you read the good stuff, it is painful to go back and read the tripe. That’s an interesting example to give me, actually, Robin, since I routinely assign Agatha Christie (in a class on mystery fiction) and spend quite a bit of time in those classes talking about questions of literary merit. I don’t like the idea of using James as a stick to beat her with: she’s very, very good at the kind of book she writes, which is a kind of book that has very different aims and literary features than the kind of book James writes. To stir things up, in fact, I typically use her as a stick to beat her modernist contemporaries with! Where is it written that difficulty of their kind is an absolute literary good — or that mastery of her kind counts for nothing? An old, perverted fraud with a thesaurus. His writing shows the creativity of a traffic light and the morals of a slot machine. I do consider myself a reasonably intelligent, reasonably well read, and reasonably bright person I would just like to say that I consider Cormac McCarthy a wonderful writer. That said, I can’t recall reading any of his books when more than once in each book I found myself half way down a page or paragraph and realized that I had mistaken who was actually speaking. His reasoning is that if written well there will be no question about who is speaking. I still recall my first encounter with sparse punctuation when I read “Johnny Got His Gun” by Dalton Trumbo many years ago. It wasn’t easy. I agree with McCarthy that many authors get comma and semi-colon crazy but I don’t see that as a reason to forsake quotation marks. I was disappointed to see that another of my favorite authors, Louise Erdrich, has bought into this, also. I’m sure others will follow. Oh, well. 1.) “The Road” is not a poem, it’s a novel, the writing style doesn’t work this way–it’s a risk McCarthy took and his work (in my mind) ultimately suffers for it. The subject matter deserves so much better than what McCarthy seems unwilling to give. 2.) It is not meant for younger readers. If it’s were meant for the grade level it is written on, I could forgive it, but it isn’t. It is meant for older readers, and seeing this style of writing pointed towards an older reader makes me feel as though McCarthy finds the rest of us as moronic children who cannot comprehend the subject matter without it being dummed down. I’m not a fourth grader, don’t treat me like one. In short: it’s not a good book, and it’s going in the garbage as soon as my literature class is done studying it. This is interesting, Scarlett: of all the criticisms I have myself, or have heard from others, of McCarthy’s writing, that he writes to “dumb down” his subject matter is not one of them. It does not seem to me a book written at a fourth-grade level. There’s the vocabulary, for one thing, (which sent me repeatedly to a dictionary) and the graphic horror and violence, but overall, for all its simple-seeming sentences it seems to me in many ways quite a difficult book to read. It leaves quite a lot of work up to its readers — or so I have felt each time I read it, and (now, some years after my original post) each time I have taught it. In any case, I hope you won’t put it in the garbage! Donate it to a thrift store or library so another reader can have a go who might like it better. Perhaps it’s because I was an advanced reader from a young age then, and have read many better books dealing with heavy topics, then, that I consider it a fourth grade level book. I don’t find it at all hard to read, not emotionally nor in complexity of the text itself. It has little emotional value and I don’t consider it graphic (at least, not for an adult). It’s not a bad book for fourth graders, not in my opinion, but it’s over simplified,holds little weight, and just isn’t what I had hoped for when reading not only the reviews but the back of the book as well. It’s a fourth grade level novel to me, we just think children aren’t capable of reading things like this for fear of scarring them for life–and how a kid could be scared/scarred from not at all vivid or graphic text is beyond me. It’s an okay book, something to read if you don’t want to use your brain for more than word recognition, but it’s certainly not a work of art that leaves a profound commentary on human emotion. Not to me, anyways. “The Road” I. Love. This. Book.